Nymph Type: Clinger. Two tails. Medium gray wings with cream, tan body often with a pinkish cast. Mid to late summer. Duns emerge mid morning to late afternoon. Spinners fall in the morning and evening hours. 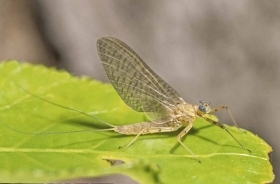 These mayflies prefer medium to fast water with good gravel bottom. They are very common in the Madison River, South Fork of the Snake, and other regional streams. While not as common on the Henry’s Fork, they are found in the faster water sections of the Harriman Ranch, lower Box Canyon and lower Henry’s Fork. 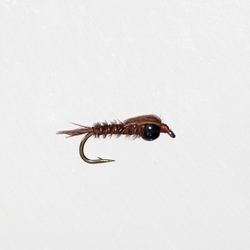 Like other clinger mayflies, duns often escape the nymphal shuck underwater and ascend to the surface. 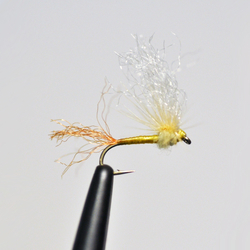 Soft hackle patterns can be very effective. From a distance the duns look similar to Pale Morning Duns and often emerge with them. The spinners can provide exceptional fishing in the morning and evening hours. 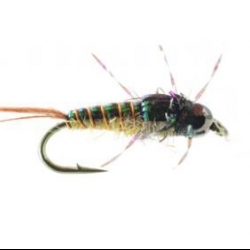 These mayflies can provide some of the best dry fly fishing of the late summer. 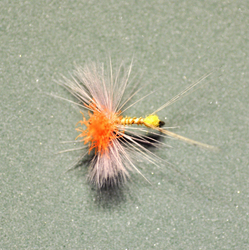 Dark Hare’s Ear Nymph, Pink Soft Hackle, Pink Albert Nohackle, Pink Albert Sparkle Dun, Pink Cahill, Rusty Spinner.